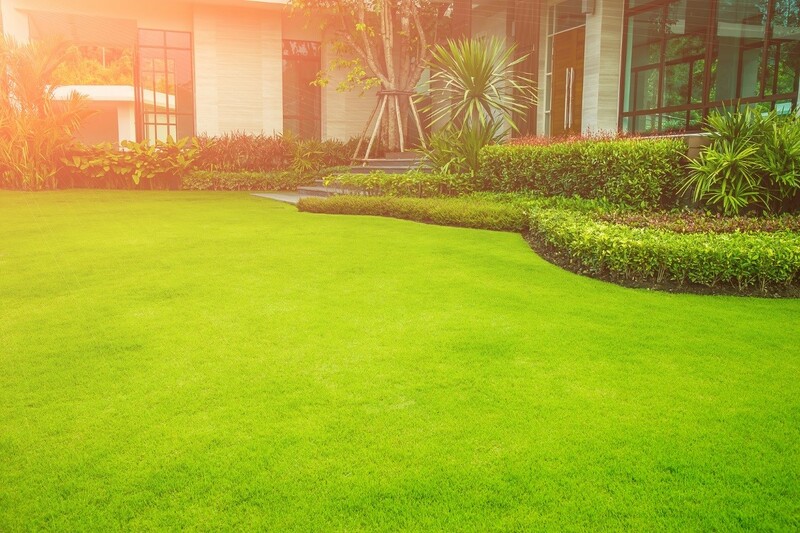 If you’ve just bought your first home with a yard, you may not be aware yet of the lawn care it entails. Lawn maintenance goes beyond mowing, watering, and fertilizing because it is an intricate, year-round job. Here are the top three things to know about proper lawn care and why it’s a good decision to delegate it to landscaping experts. Lawn care isn’t a process of “simple” mowing, watering, and fertilizing because each step must be done correctly to keep your lawn healthy. The Environmental Protection Agency (EPA) offers tips on the right way of mowing. It advises mowing high where the suggested length for many kinds of turf grass is 2 1/2 to 3 1/2 inches. Longer grass has enough leaf surface to absorb sunlight, which allows it to grow thick and develop long root systems that will help survive hot days, endure insect damage, and fight diseases. As for watering your landscape, the rule of thumb is water deeply but not too frequently. Bermuda grass requires around an inch of water every week, while fescue needs two to three inches of water when it’s very hot but only an inch of water only when it’s cold. The right of amount of water is critical to a healthy lawn as regular shallow watering conditions the roots to stay near the surface and makes the turf less drought-resistant. Fertilizing is a bit more complex. You need to know the type of soil of your turf as it will determine the kind and level of fertilizing necessary. For instance, if your soil is acidic, it needs more lime, but if it’s not acidic enough, it requires sulfur. Many lawns must be fertilized several times a year as they need additional nitrogen, potassium, and phosphorus for healthy grass and plant growth. You should avoid over-fertilizing as this can harm your plants even more. Weed control is essential to a healthy turf as weeds will suffocate and kill your plants. Pre-weed products protect the soil from weed germination while post-emergent ones eliminate the weed that has already grown. Good lawn care should include an integrated pest management system. It concerns the management of pests that are common in the area. Lawn care must also include disease control including prevention and proper treatment. Some of the common turf diseases are dollar spot and slime mold. Lawn care is vital to a beautiful turf that adds value to your property. Due to the time and energy needed to maintain lawns, consider handing over this job to an experienced lawn services company. Their team of landscapers can help you understand the conditions of your lawn as well as its problems and solutions. With their expertise, your lawn and landscape can be maintained almost effortlessly all-year round.